March is nutrition month and there is a lot to celebrate! In addition to finally getting to say good- bye to old man winter, this is also the month that reminds us of the importance of food and wellness. Whether you need a major dietary overhaul (and I assure you, you can do it at any age and any stage) or only need a little health tweaking here and there – I am here to help. I am still amazed by the health transformation that can happen in just 30 days. So, decide what you want to change for a 30-day period. Is it drinking more water, getting rid of refined flours and sugars or committing to more cardiovascular work-outs? Whatever it is, keep in mind, health is indeed the first wealth. Click here to read more about the changes you can make in 30 days. This edition of the Dr. Joey newsletter focuses on going green with superfood smoothies, snacking healthy (with a cause) and getting happy. Remember, I always love hearing from you (and thank you for your amazing e-mails). If you want to touch base with us – simply e-mail drjoey@drjoey.com. We do respond to each and every e-mail. Have you seen the amazing results on the Cityline Weight Loss challenge? After following the plan, their pounds are literally melting away. Click here to learn more. And... congratulations to last years winner Stefania who still looks amazing! Almost 1 year later and Stefania is keeping her weight off and looking like one hot mama! One of the most common causes of fatigue and inability to lose weight is dehydration. If you want a fun way to get your 8 glasses of water each day, what better reminder than a bright, easy to drink glass water bottle. Just flip the straw up and drink away! Life Factory makes a wide array of coloured glass water bottles with a non-slip grip surface to protect the BPA-free and phthalate-free glass bottle underneath. Available in various sizes - 22oz, 12oz and 9oz for children. As most of my newsletter readers know, I absolutely love Cocoon Apothecary's products. This rose dew facial toner still remains one of my all time favourites. After a long winter – our skin definitely needs a little extra TLC and this high anti-oxidant, alcohol free toner does the trick to tighten up your pores. 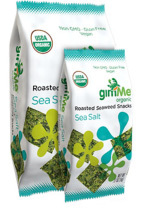 These roasted organic seaweed snacks have become one of my go-to snacks when on the run. Among the several benefits, this superfood snack is low in calories (just 25 calories per serving!) and rich in vitamin K, iodine and calcium. 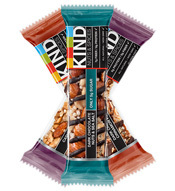 Who doesn't love guilt free snacking? The Dr. Joey newsletter supports food, fashion and beauty companies that offer gift giving (or eating!) with a cause. Enjoy great products and feel good that the dollars you are spending are helping to greatly benefit others. Each month, KIND supports an inspirational project with $10,000 to help turn a vision into a reality. You can check out the KIND cause by going to kindprojects.com. If you have read any of my articles or books, you know I truly am wild about avocados. Avocados are rich in fibre (half of an avocado contains ¾ grams of fibre) and high in carotenoids – a potent anti-oxidant to help fight off disease. These tasty fruits (yes... they are indeed a fruit!) also contain oleic acid – a fat that activates a part of your brain to feel full. 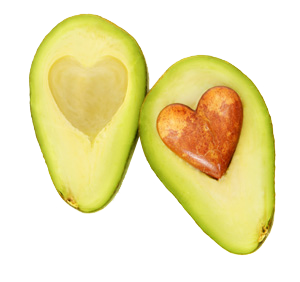 A quarter of an avocado contains 80 calories, and 7g of healthy fats, plus it is low in the GI scale. So toss into your salad, wrap, make guacamole or blend in your smoothie for some extra creaminess– avocados are indeed a superfood you should be enjoying. We are thrilled to announce that Dr. Joey Skinnychews are in over 800 stores including GNC, Longo's, McEwans, Pusateri's, most health food stores and Walmart online (all shipping is free!). If you want to satisfy your cravings naturally and maintain a healthy eating regime – then you will love these chocolatey chews. With less than 20 calories per chew, gluten free, naturally sweetened and 4 grams of inulin fibre per serving – you can't go wrong. 2 per day does the trick! Put coconut, pecans, dates, lime zest and sea salt in a food processor and pulse until well combined. Take mixture out of the processor and press evenly into two four-inch tart pans. Place pans in freezer while you make the tart filling. While the crust is setting in the freeze, blend avocados, lime juice, brown rice syrup, coconut oil and lime zest in food processor until creamy. Pour half the avocado filling over the crust in one pan and then pour the remaining filling over the crust in the second pan. Use a spoon to make sure the filling is even and smooth. Top with kiwi slices. Place pans in the freezer to set up, at least 2 hours, but can be overnight. Take out of freezer, let sit out for 10 minutes, cut into slices and serve immediately. In a large bowl add lettuce mix and drizzle oil and balsamic. Toss to coat. Mix in quinoa and flaxseeds. Top with berries, almonds, avocado and tomatoes and toss gently. Poke holes in sweet potato and bake at 400 F for 50 minutes. Set aside. Once cooled, remove flesh and discard skin. Pulse garlic in food processor until chopped and add remaining ingredients. Process until smooth and adjust consistency as desired with water. 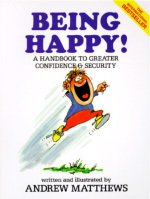 This little book has sat in my bookshelf for over a decade. Don't let the cartoon cover throw you off – Andrew Matthews best selling book offers a comical and easy to read guide on how to live the life you have always imagined. Order your copy off of amazon.ca and be pleasantly inspired and entertained. It is spring finally! If you want to get a jump start on your weight loss success (and achieve results like these!) – simply contact our office for your free weight loss assessment at inquiries@shulmanweightloss.com. Keep in mind – we now have 3 locations in Thornhill, downtown Toronto and London.